With 80 % of world trade carried by sea, seaports provide crucial linkages in global supply-chains and are essential for the ability of all countries to access global markets. Seaports are likely to be affected directly and indirectly by climatic changes, with broader implications for international trade and development. Due to their coastal location, seaports are particularly vulnerable to extreme weather events associated with increasing sea levels and tropical storm activity, as illustrated by hurricane “Sandy”. In view of their strategic role as part of the globalized trading system, adapting ports in different parts of the world to the impacts of climate change is of considerable importance. 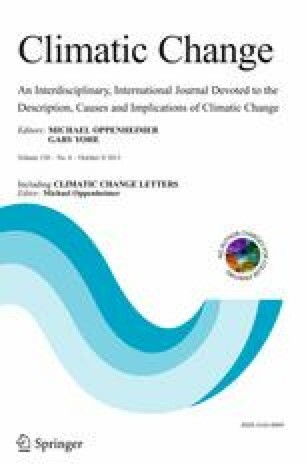 Reflecting the views of a diverse group of stakeholders with expertise in climate science, engineering, economics, policy, and port management, this essay highlights the climate change challenge for ports and suggests a way forward through the adoption of some initial measures. These include both “soft” and “hard” adaptations that may be spearheaded by individual port entities, but will require collaboration and support from a broad range of public and private sector stakeholders and from society at large. In particular, the essay highlights a need to shift to more holistic planning, investment and operation. The authors thank the anonymous reviewers of this essay and the participants of the UNCTAD Ad Hoc Expert Meeting on Climate change impacts and adaptation: A challenge for global ports (29–30 September, 2011) for ideas, input, and review.